It’s been busy busy around here, getting together the core of Snowdenology.net. All is looking good for the planned June 1 beta launch. Some Songs Your Mother Sang (song listing, information, lyrics, etc.) has been live for a few weeks now, and as of this morning Stay At Home (shows: past, present, and future + setlists etc. section) is live. These sections are both password restricted for now. If you’d like access email breathmint@snowdenology.net. Next up, discography. I’ll also try to keep site updates more regular here. In addition, look for update feeds real soon too! Good News Indeed! Last night while getting ready for bed, I did a routine check of snowden.info and found the site is in a new transitional stage. The image below is the new frontpage and promises “new album soon to arrive.” Gents (and lady)… how am I to sleep now? Stay tuned for more news as it comes in. Hello and welcome to Good News, the web log of snowdenology.net. 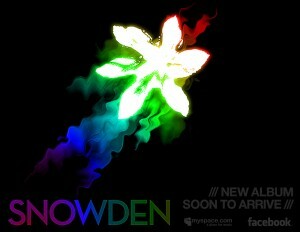 Here you will find news, reviews, rumors, and rambling on all things Snowden. At times, I may also use this space to think out loud. We’ve only just begun here at snowdenology, so please bookmark this page and check it often. Use the links on the sidebar to subscribe to the RSS feed. Email updates are also coming soon. We appreciate any feedback or suggestions you may have on how to make snowdenology better. Comment posting is encouraged and you can always reach us at breathmint@snowdenology.net.